The Muslim world has often been accused of a failure to modernise and adapt. 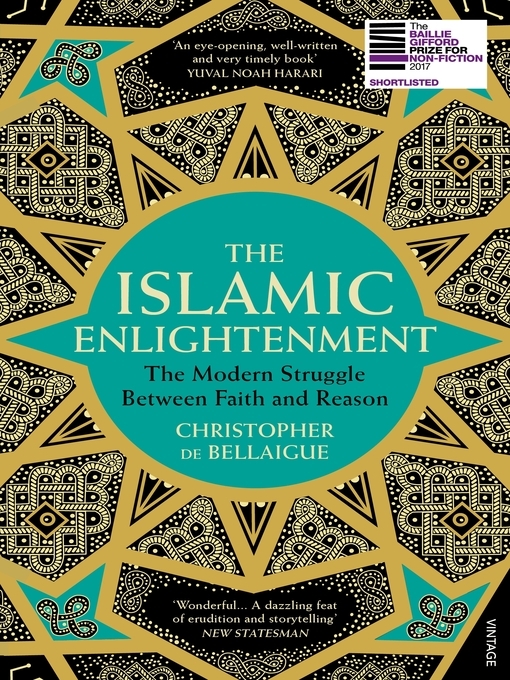 Yet in this sweeping narrative and provocative retelling of modern history, Christopher de Bellaigue charts the forgotten story of the Islamic Enlightenment – the social movements, reforms and revolutions that transfigured the Middle East from the early nineteenth century to the present day. Modern ideals and practices were embraced across the region, including the adoption of modern medicine, the emergence of women from purdah and the development of democracy. The Islamic Enlightenment looks behind the sensationalist headlines in order to foster a genuine understanding of Islam and its relationship to the West. It is essential reading for anyone engaged in the state of the world today.